Want in on a hint? 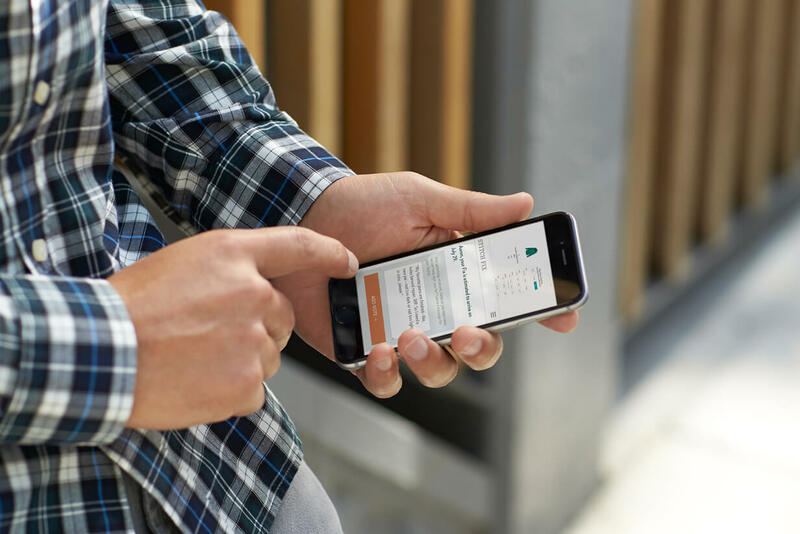 Leaving feedback for us should be as natural as giving out stars for your last (fill in ride share) ride. And, the more feedback you leave the better your Fixes get. Really. So rate, star, like, and write away—we’ll take it from there. Keep reading for how and why you should be leaving feedback. 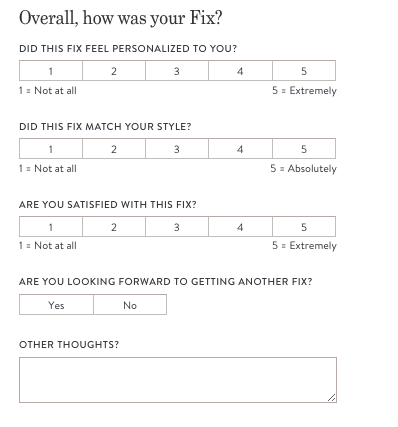 There are three places where you can (and should) leave Fix feedback before and after your Fix arrives at your doorstep. 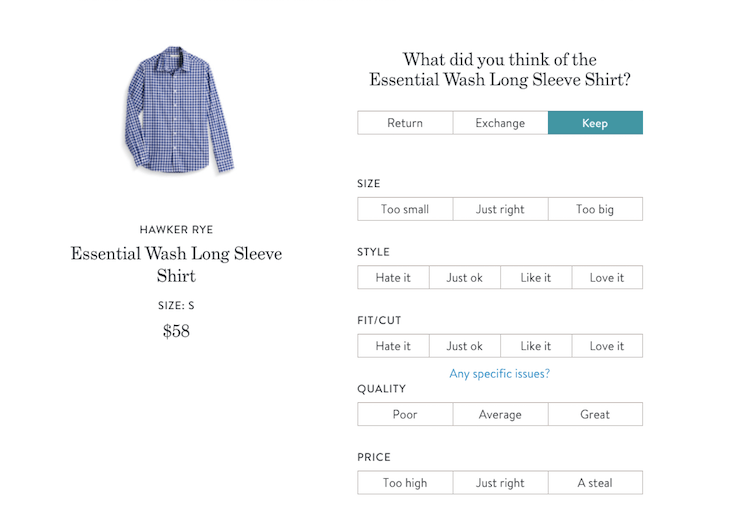 When you fill out your Style Profile, we leave a section at the end for you to free write anything and everything you think your Stylist should know. Only like to wear shades of blue? Tell us there. When to update it: Update this section at least every 2-3 Fixes. Better yet, update it before every Fix. Now let’s get Fix specific. Before every delivery is sent out, you can tell us exactly what you want from head to toe or just give us the one item you need to see in your Fix. It’s always helpful to see where your head and your closet is. 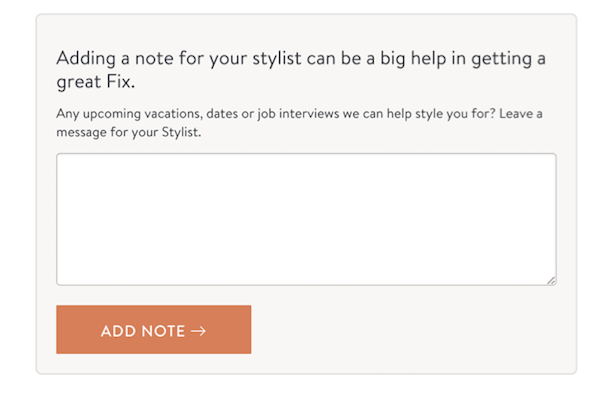 When to update it: Update your Fix Note before every Fix. It’s either a little or a lot, but anything you share is helpful to us. The checkout process is the time to give it to us straight and tell us how we did. Tell us exactly what you did and didn’t like–don’t spare the details. We can’t read your mind (but wish we could), so tell us the fit issues you had with that shirt or what you really thought of those jeans we sent. Be constructive, be honest and share everything. When to update it: Every time you check out your Fix. The more we know, the better your Fixes get over time. Want to learn more about our personal styling service? Find out how it works.